Here is another celebration of Spring. 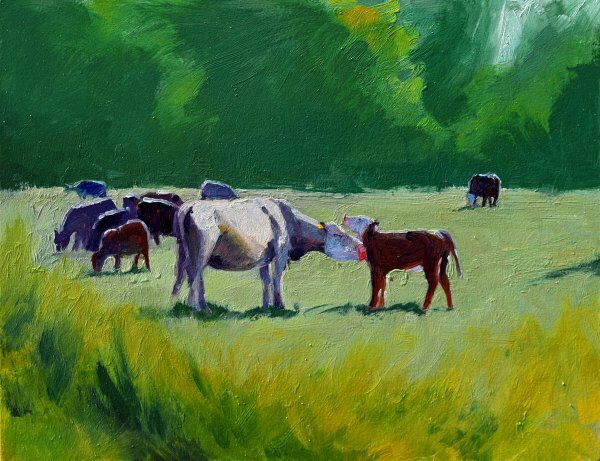 These are the cows that live in the field in our neighborhood, and I just love painting them. Don’t they look happy? Painted on a panel with wood sides 7/8″ deep. Ready to hang unframed.